Amazon, Best Buy, Google, and B&H are selling the Nest at a sub-$200 price. Deals on the Nest learning thermostat don’t happen that often, and usually they’re not that exciting—about $20 off or so. Right now, the third-generation Nest learning thermostat is $50 off at multiple retailers. That puts the thermostat at a sub-$200 price on Amazon, B&H, Best Buy, Google, and Newegg. Smart-home fans probably know all about this famous thermostat, but just to recap, the third-generation model has a 2.08-inch diameter display with 480-by-480 resolution, improved the detection range (i.e. it can detect you are present when you’re farther away compared to previous models), and lights up when you enter a room. 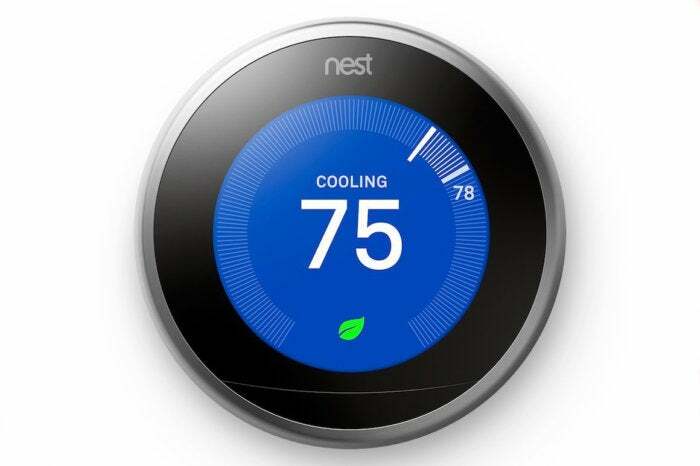 This model also offers the smart features that made Nest famous, such as learning your schedule to adjust the temperature automatically, as well as a Furnace Heads-Up function that detects any problem with your heating and cooling unit. It’s been about six months since this thermostat has dropped this low—the last time we saw it dip below $200 was during the 2016 holiday season (of course). If you’ve been waiting for this model to go on sale, now’s a good time to buy.